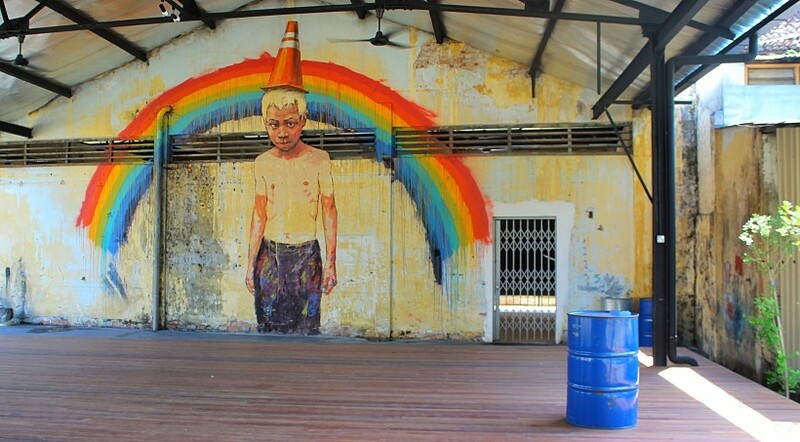 Breathtaking mural at the Hin Bus Depot by Zacharevic. Penang, February 2014. 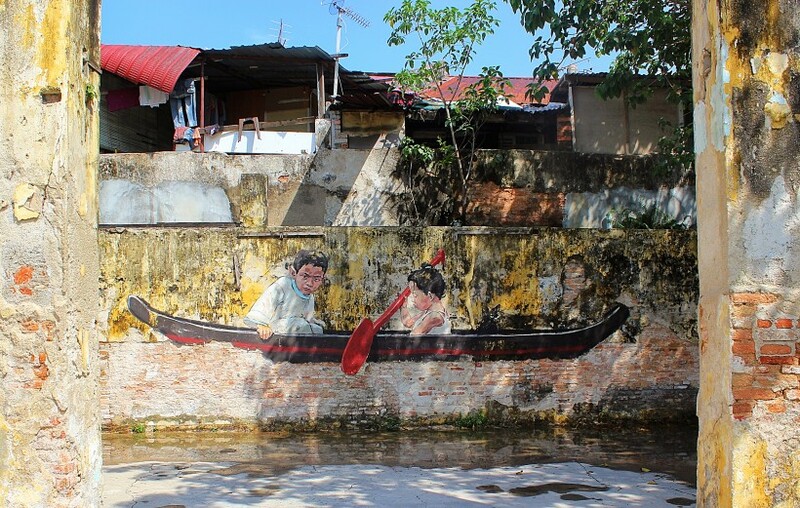 By a fluke accident, I got to Penang on the last day of Ernest Zacharevics solo exhibition. The show was held at one of the most creative and beautiful venues I’ve visited; the Hin Bus Depot, an old abandoned bus garage that has been turned into an art gallery and café. 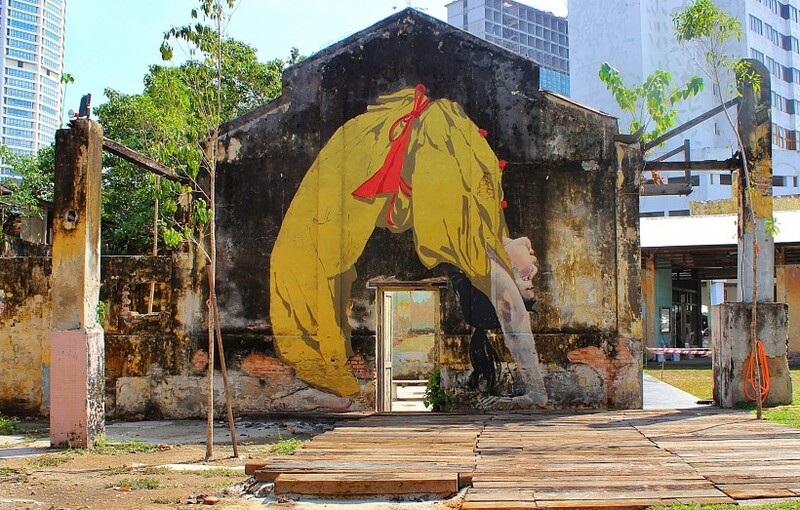 The combination of art and the old walls is magical, if you’re ever in Penang, this is a must see place! This entry was posted in Malaysia and tagged all you see is crime in the city, graffiti, malaysia, penang, public space take over, street art, tags, throws. Bookmark the permalink.